Everywhere – NYC and its history, in particular. What’s your favorite book / movie / line from a play / cocktail? Favorite book is still John Irving’s A Prayer for Owen Meany – it made me sob on the subway. Movie: harder, but among the most formative is To Kill a Mockingbird. Line from a play: anything Lady Bracknell says. I’m not a big cocktail drinker, but anything involving bubbly is a winner. What production changed your life? Oh, lordy, lots at different times! Mac Wellman’s Crowbar by En Garde Arts in 1990 is as good as any. I’d been in NYC three whole days when my friend Dan called and asked if I wanted to be in the ensemble of a play he was stage managing. Looking back, I can’t believe I hesitated, even if only briefly. The production was a whole new world. I’d never heard of site-specific theater before, I’d never read or seen anything like Mac’s work, I’d never imagined exploring every nook and cranny of a former Broadway theater (the Victory, pre-New Victory). The production became a huge hit, with celebrities in the audience every night. I met wonderful folks, like Richard Caliban, Annie Hamburger, Jan Leslie Harding, Juliana Francis, Michael John Garces, Lou Moreno, Richard Sheinmel and Anita Durst. I got my Equity card. And it entirely changed the kind of work I wanted to do. Traveling to Barcelona, Angkor Wat, Machu Picchu, Karnak. Singing in a rock band. Playing an instrument. Playing Beatrice in Much Ado, Martha in Virginia Wolf, the Chorus in Henry V. I am filled with aspiration! Performing in a show… and riding in a car with the windows down listening to ‘70s rock. I have done considerable fishing in my life – not in a while, but at one time, I was fairly adept at baiting a hook, casting a line, and gutting trout. 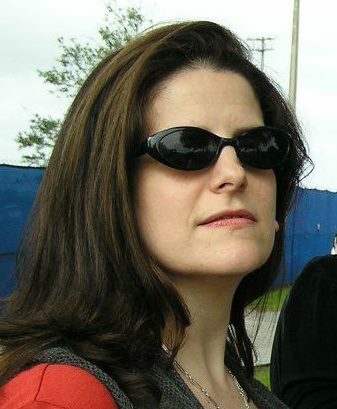 Catherine Porter is Co-Founder/Artistic Director of the OBIE-winning Peculiar Works Project, and has performed Off and Off-Off Broadway with myriad companies. She is Development Director for Dixon Place, and is on the board of A.R.T./New York and Concrete Temple. She was named one of nytheatre.com’s 2010 People of the Year. I believe strongly in government and private support for the entire nonprofit sector of all the arts, and have worked in both sectors — with the National Endowment for the Arts and the Ford Foundation — to further those beliefs and convictions. In all, the grant programs I developed in both sectors, the two guiding principles were the quality of the arts being produced and attention to representation of minorities and women. Originally, I was strongly influenced by my family, which provided me with extensive exposure to the arts and particularly the theatre. I was present at the flowering of the Off Broadway theatre movement in New York and have remained strongly attached to the work of its pioneers and, very selectively, with exponents of experimental work. Though no play or production changed my life, I was certainly strongly influenced by productions seen in Europe during a seminal trip there in the early sixties — and later by theatre in the then Soviet Union transitioning to Russia — and still later by performing arts (theatre, dance) seen in Asia, particularly Asia and Indonesia. No really favorite book, though I could read and re-read many 19th century novels, and Henry James, and The English Patient—and am mesmerized by the books of W.G. Sebald (there are all too few of them). I dream of more travel, mostly to unfamiliar places, but also to Italy which will never be familiar enough. The other thing I dream of doing is finishing Proust! 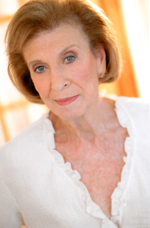 Ruth Mayleas was first Director of Theatre Program, NEA: 1966-78; subsequently Director, Arts Program and International Consultant, Ford Foundation: 1982-1994. At NEA shaped national program for nonprofit theatres throughout the country. At Ford Foundation work encompassed support for all performing arts, including theatre and visual arts. Work emphasized minority arts organizations, commissioning, development of new work.